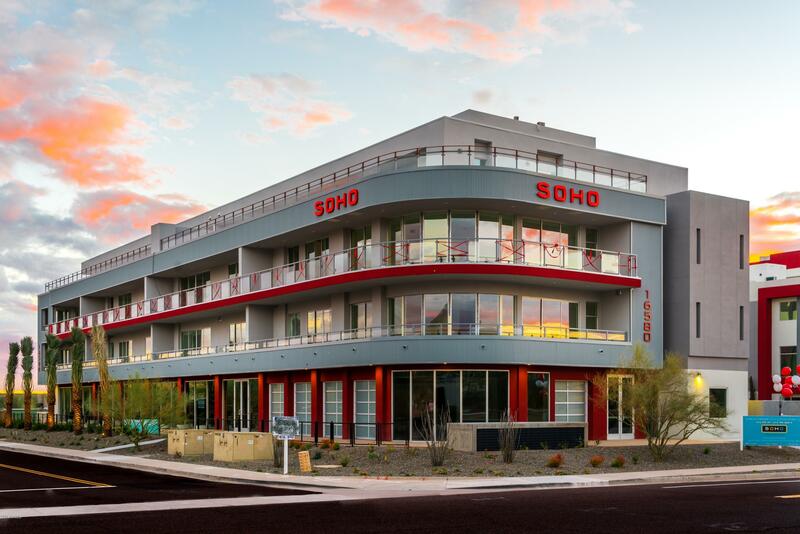 All SOHO SCOTTSDALE CONDOMINI homes currently listed for sale in Scottsdale as of 04/23/2019 are shown below. You can change the search criteria at any time by pressing the 'Change Search' button below. 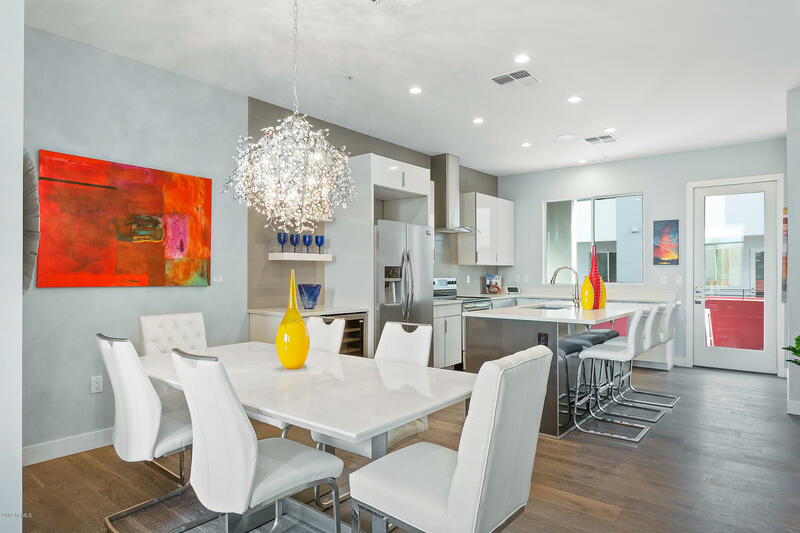 "Welcome to SOHO Scottsdale, where premiere Penthouse living in North Scottsdale can be yours! Luxurious upgrades coupled with advanced technology, security and forward-thinking green features will be appreciated, along with the panoramic city light and mountain views. From the view decks surrounding the Penthouse, you can see all across the Valley of the Sun. From Pinnacle Peak to Camelback and, of course, the McDowells in between. 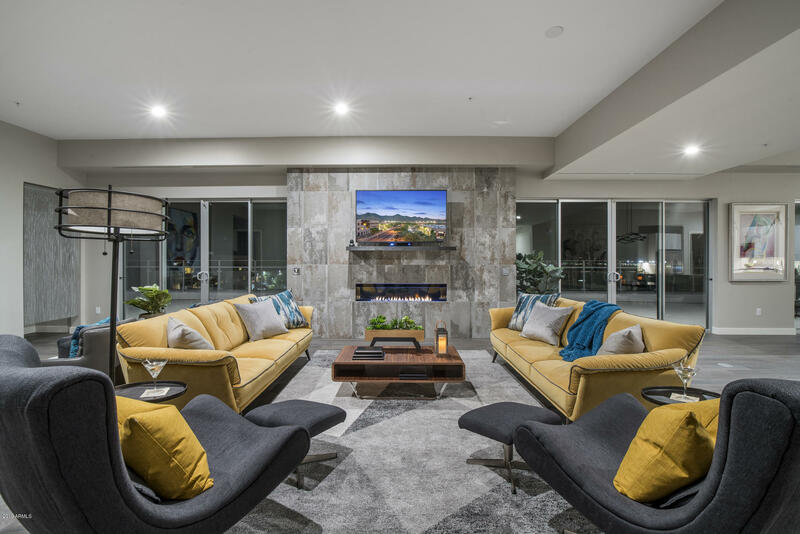 The ultimate live, work and play destination, this home is also "
"Beautiful new loft home corner unit in the premiere SOHO Scottsdale community! SOHO personifies the vibrant lifestyle of today's professional or entrepreneur with dual zoned homes for a true work/live lifestyle and is a collaboration between renowned architect Bing Hu and Catclar Investments. Upscale finishes come standard! Nearly 2,004SF of living space with two bedrooms plus a den, walk-in closet, mtn. views and two balconies with a semi-private elevator entry to foyer. All Kohler water sense"
"Incredible new townhome with rooftop deck in the premier SOHO Scottsdale community. SOHO personifies the vibrant lifestyle of today's professional or entrepreneur with dual zoned homes for a true work/live lifestyle and is a collaboration between renowned architect Bing Hu and Catclar Investments. Nearly 3,100SF of gorgeous living space with upscale finishes as the standard! 3 master bedrooms, a home office and a bonus game/living space! Elevator is available as an additional upgraded feature. " 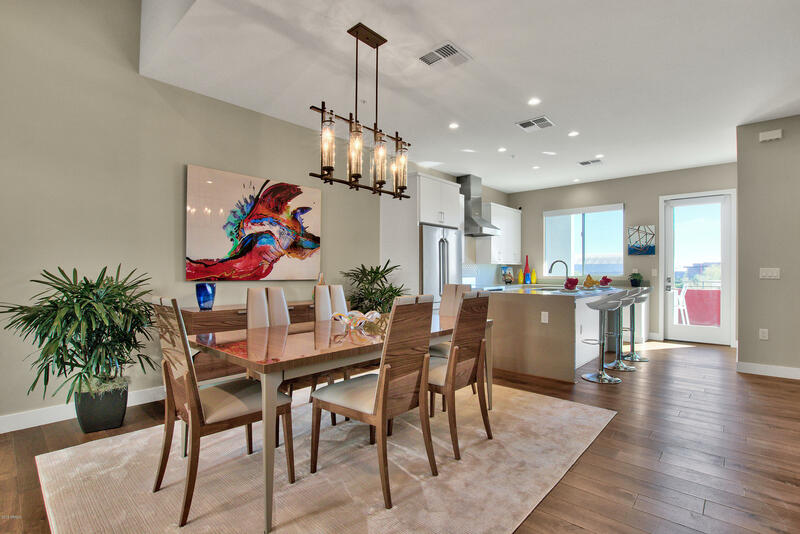 "Incredible new townhome with a rooftop deck in the premiere SOHO Scottsdale community! SOHO personifies the vibrant lifestyle of today's professional or entrepreneur with dual zoned homes for a true work/live lifestyle and is a collaboration between renowned architect Bing Hu and Catclar Investments. Nearly 2,250SF of gorgeous living space with upscale finishes standard! 2 master bedrooms plus a large home office give you plenty of room! Home is green w/ smart home capabilities, a retractable s"